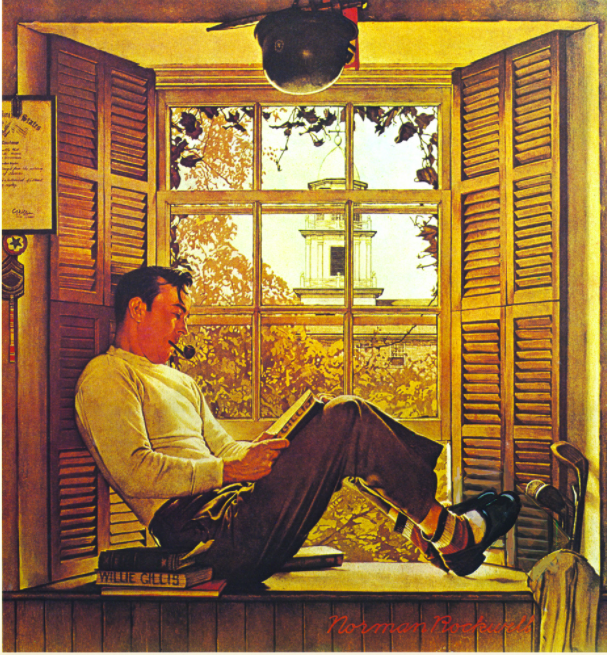 Norman Rockwell, A study for Willie Gillis in College, 1946, oil on board, 29 x 27 cm. All communication will be kept strictly confidential. Details: This is the original study done by Norman Rockwell for the final painting which appeared on the cover of The Saturday Evening Post on 5 October, 1946. The final version is slightly different (painted on canvas) and was owned by the Washington Mutual Bank of Seattle. This version, painted on board, was reported stolen between 1-2 April 2003 in Atherton, California during a chaotic family move.